Whitney is a senior attorney at Richards, Watson & Gershon and a member of the firm’s Public Law Department and its Litigation Department. Ms. McDonald’s practice encompasses all aspects of public entity representation, from public meetings and administrative and transactional matters to litigation in state and federal courts. With an emphasis in land use and planning law, Whitney advises local governments and private developers in reviewing development projects and enacting general plan amendments and ordinances, as well as the defense of those actions in litigation. Her considerable land use background encompasses topics such as housing, oil development, mobilehome parks, mining, telecommunications, medical marijuana, rail transportation, and renewable energy, and includes expertise in the California Environmental Quality Act, the Coastal Act, and the substantive laws affecting the land use entitlement process. Whitney also brings a practiced knowledge of water law, including the Sustainable Groundwater Management Act and the adjudication process. 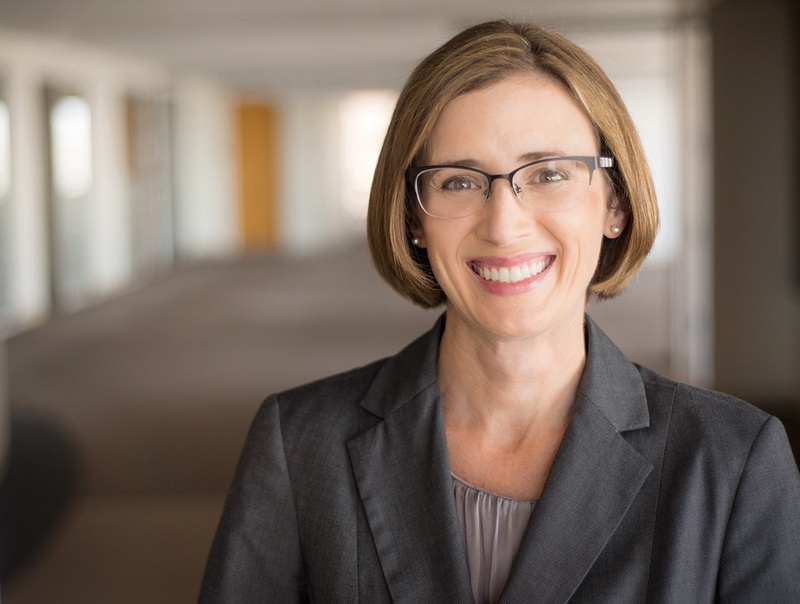 Whitney currently serves as General Counsel to the Nipomo Community Services District, which provides water, sewer, solid waste, and street lighting and maintenance to customers in southern San Luis Obispo County. Whitney’s advisory and litigation work includes several aspects of public financing, including compliance with Proposition 218 and the Mitigation Fee Act. In addition to land use matters, Whitney regularly advises public entities regarding compliance with the Public Records Act and the Brown Act, as well as real estate matters and the public procurement process. She also represents public and private entities in writ of mandate actions concerning land use decisions, including CEQA litigation. Prior to returning to the firm in 2016 to head its Central Coast office, Whitney served as a Deputy County Counsel for the County of San Luis Obispo. In her five years at the County, Whitney advised the Board of Supervisors, Planning Commission, and Department of Planning and Building on land use matters, often in the midst of significant controversy and public scrutiny. Whitney then successfully defended those decisions in writ actions at the Superior Court and Court of Appeal. Before her time at the County of San Luis Obispo, Whitney was an associate in the firm’s Litigation Department where she represented the cities of Highland, Palmdale, Palm Desert, Rancho Palos Verdes, and Upland in litigation and code enforcement matters. From 2007-2010, Whitney worked as a litigation associate in the Los Angeles office of Richards, Watson & Gershon, until leaving the office to move to the Central Coast. Whitney then joined the County Counsel’s Office of San Luis Obispo County, where she worked as a land use attorney until 2016. At that time, Whitney rejoined Richards, Watson & Gershon to open its Central Coast office in San Luis Obispo. Prior to joining Richards, Watson & Gershon in 2007, Whitney was an associate in a Glendale law firm specializing in professional liability defense. While in law school, Whitney worked for the California Attorney General’s Office in its Torts & Condemnation Section and participated in the General Relief legal aid clinic and moot court. Whitney has advised clients and reviewed numerous Environmental Impact Reports on highly controversial and complex projects such as a crude-by-rail project proposed by Phillips 66 in San Luis Obispo County, expansion of the Cold Canyon Landfill also in San Luis Obispo County, and the Eagle Ranch development under review by the City of Atascadero. City of Palmdale v. Palmdale Water District, 198 Cal.App.4th 926 (2011). Published Court of Appeal decision holding that a water rate increase that disproportionately impacted irrigation customers like the City violated Proposition 218. Excelaron v. County of San Luis Obispo, 2d Civil No. B248051 (Cal. Ct. App. July 24, 2014). Unpublished Court of Appeal decision upholding the dismissal of $6.24 billion lawsuit challenging the denial of a use permit for an oil exploration project. Agriculture, Business & Labor Educational Coalition of San Luis Obispo County (COLAB) v. County of San Luis Obispo, 2d Civil Co. B233805 (Cal. Ct. App. Oct. 30, 2012). Unpublished Court of Appeal decision upholding the use of a Negative Declaration under CEQA to enact smart growth amendments to the County’s general plan. Paso Robles Water Integrity Network v. County of San Luis Obispo, San Luis Obispo County Superior Court, Case No. CV138391 (Ruling filed January 12, 2014). Trial Court decision denying a challenge to interim zoning ordinances that imposed limitations on the use of groundwater extracted from the Paso Robles Groundwater Basin. Whitney has delivered presentations before public officials and lawyers, including the California Special Districts Association and County Counsel’s Association Land Use Section on topics ranging from Brown Act and Public Records Act compliance to groundwater management.